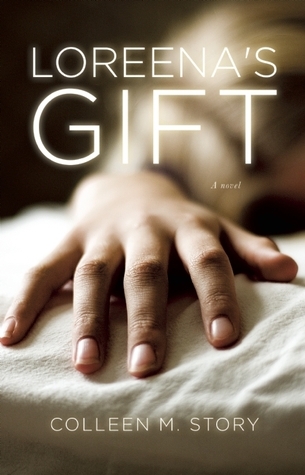 An exciting debut that crosses fantasy and literary fiction, Loreena’s Gift is a thought-provoking meditation on life and death and what ultimately lies beyond this world. At the age of 9, Loreena lost her parents and her sight in a car accident. Her and her brother, Saul are sent to live with their Uncle Don, a preacher. Years later Loreena finds it strange that her palms always smell like sulfur, even after a lot of scrubbing. But when she accidently kills her friend and takes him to the afterlife. Loreena’s uncle convinces her to help terminally ill people cross over. But then her brother shows up and the head of a biker’s club learns of her gift/curse, Loreena is forced to use her gift to save her brother’s life. Loreena is such a strong young woman. She has the ability to kill and take a person to the afterlife, during this time she regains her vision. But in our world she is blind and helping her uncle to help those suffering. And after she is discovered, she still does what needs to be done to save both her and her brother’s lives. This book sucked me in and I could turn the pages fast enough to see what was going to happen to Loreena next. I really liked how although Loreena is blind she didn’t let that defeat her. Also, even though she has a gift/curse depending on how you look at it, she does her best with everything she faces. This is a great story and hard to tell that it is Colleen Story’s first book. I absolutely loved this story and I will be on the lookout for future books from Story. To purchase Loreena’s Gift make sure to visit Amazon, Barnes and Noble, and Goodreads. 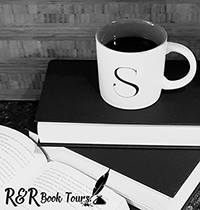 I received Loreena’s Gift for free from iRead Book Tours in exchange for an honest review. How fun to discover Jessica’s three cats on her “about page.” DC is a beauty and reminds me some of the male cat I used to have, “Myra.” I actually used to have three cats—all strays that I had “rescued” over the years—but I’m down to only one, now. Myra was with me for nearly 14 years, and was a master bug catcher and laser light chaser. Sam, my Halloween cat (she showed up all bones around Halloween time) and my wild warrior queen, was with me for about six years before she passed. I’m left with Rikki, a little black and silver tiger I found beat up along the side of the road when she was less than a year old. She is about the sweetest cat I’ve ever known and extremely well behaved. Having been raised on a ranch, I’ve had cats all my life, and even though they all have their own unique personalities, there are some characteristics they have in common. It could be said that novels, as well, share some of those same characteristics. They don’t really need you. We authors like to feel possessive of our stories. We like to think that without us, the characters would never come to life, never experience their journeys, never triumph (or not) at the end. When things get rough, we like to remind ourselves of this fact. No matter what happens with sales or reviews or whatever, we think, without us, this story and the people in it never would have seen the light of day. I have a feeling that the characters in my novels, if I’m really honest with myself, are somewhat similar. They have their lives to live, and whether or not I look in on them or find a way to share their journeys with others is neither here nor there. Really, if I do dive in and do the hard work of bringing their story “to life,” they’re glad to remind me that the benefit is all mine. And in my better moments, I have to admit it’s true. I’m the one who benefits from getting to know them, and being allowed to join them on their journeys. They’d do just fine without me. But when I’m willing to move into their world, I get a chance to experience other lives, other settings, other personalities. It’s better than any virtual reality experience, that’s for sure. Out of the blue, they’ll tear around the house 90 miles per hour. You’ve seen cats do this. But you probably didn’t know why. Out of the blue, Rikki will spring from wherever she’s sitting and fly around the house, so fast that I hardly see her blurred body moving. Down to the basement, around and back up, across the living room and through the kitchen and back down to the basement, the sound of her claws gripping the carpet a percussive accompaniment to her mad dash. Novels can do that, too. I can be writing along, working on a particular scene, and all of a sudden it will take off. Characters will do things I didn’t expect, something new will appear, a disaster will occur, or something, and suddenly I’m just along for the ride, typing as fast as my fingers will go. Unfortunately, it often ends as fast as it began. Rikki screeches to a halt and sits by the window with a nonchalant look on her face, like the last three minutes of spazzing out never occurred. A novel, too, will quiet down and then a writer is back to the hard work of crafting the next scene. But hey, it was fun while it lasted. Myra was all about eating. Still, he had his tastes, and some brands of food he’d turn his little white nose up to until I relented and found something else he liked. Rikki isn’t disagreeable, but she will just as soon leave the dish untouched if she doesn’t like what’s in it. If you’ve had cats, you know how finicky they can be. A novel is often the same. Try to set your characters down a road they don’t want to go on, and they’ll let you know right quick. Suddenly their voices disappear, and the muse leaves you behind. You sit at the computer with the cursor blinking and your characters are nowhere to be found. Time to go back and see where you went wrong. Sometimes, it takes a long time to find just where that occurred. The whole process can cause writer’s block for awhile, until usually you walk away from it, go do something else, and suddenly it breaks through. Of course! She wouldn’t have done that. She would have done this! And you’re back in the game—as long as you’ve made a choice your characters can live with. Thank you Colleen, I couldn’t have said it better. Make sure to check out Colleen’s book Loreena’s Gift. You are very welcome. Thank you for the opportunity to review such a wonderful book.